Order your issue online here. 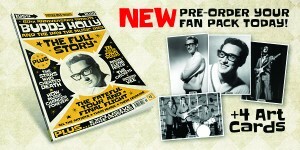 Get the exclusive Buddy Holly Fan Pack here. 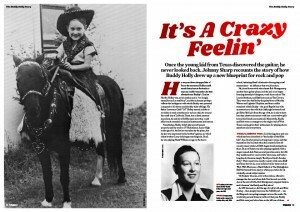 You can also find this issue in store at Sainsbury’s, Tesco, WHSmiths, Eason’s and independent retailers. 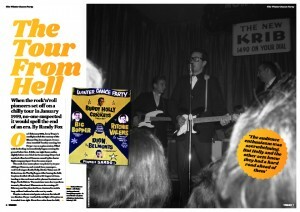 When the world lost iconic rock’n’rollers Buddy Holly, Ritchie Valens and The Big Bopper in an horrific air crash in February 1959, it shook the world to its core – and it’s an event that continues to resonate amongst music fans to this day. 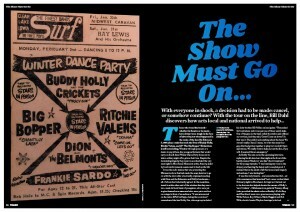 In our latest Vintage Rock special edition, we pay tribute to Buddy and his fallen comradesfor the 60th Anniversary of the ‘Day The Music Died’. Inside this exclusive commemorative issue, we tell the story of Buddy Holly, his rapid rise to fame with his band The Crickets and that fateful final tour. We also survey the careers of Ritchie Valens and The Big Bopper, both of whom made a huge impression on rock’n’roll with their own inimitable styles and hit songs. 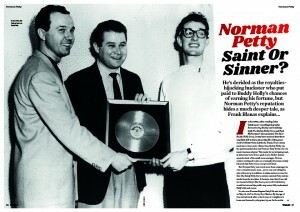 Exclusive interviews include intimate discussions with Buddy’s widow Maria Elena Holly; Bobby Vee, who took the unenviable position as Buddy’s replacement to close out the final tour; Crickets members Jerry Allison and Sonny Curtis, who share their fond memories of Buddy – and producer Nick Patrick, whose True Love Ways project brought Buddy’s music together with the Royal Philharmonic Orchestra. « The Elvis Years Vol. 3 is now on sale!